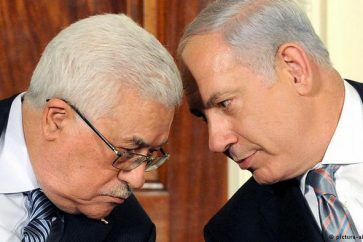 قبل تعميم «سلطة أوسلو» لغة التسامح والسلام، كانت بيانات التنظيمات الفلسطينية تُذيَّل بعبارة «الخزي والعار للخونة والعملاء». شركاء «الحل السلمي» أعادوا تدوير الجملة في ماكينة السردية المضادة. هرول العرب قبل العجم نحو التطبيع مع العدو، لتصبح «أدبيات الثورة» مادة تهكمية لدى «الواقعيين» (اقرأ المنبطحين). معاودة إنتاج ثقافة استحالة التغيير واستهداف «الفئة المغامرة» مارسهما 99% من حكومات العالم. النسبة هنا لا تُزعج أنصار الديموقراطية. لو كان بالإمكان اختصار سيرة أحمد جرار في قصيدة، لوقع الاختيار على «أحمد الزعتر» للشاعر الراحل محمود درويش. فهو الذي «كان في كل شيء يلتقي بنقيضه»: حين كان ابن ست سنوات لم يحيَ عيشة أترابه المعهودة، إذ وُلِدَ لأبٍ مقاوم يسير إلى المستحيل بأطرافه المبتورة، ويطارده جيشٌ بأكمله كأنما هو بطل أسطوري يصارع وحشاً عملاق، حتى استشهد بعد مطاردة طويلة، وهدم المكان الذي كان يتحصّن فيه فوق رأسه، تماماً كما انتهى المطاف بجرار الابن. – تشهد مواقع التواصل عبر الصفحات الفردية والجماعية للفلسطينيين ثورة وطوفاناً تتصدّرهما صور الشهيد أحمد جرار والكتابات الوجدانية التي تفيض حباً وتقديراً لرمزية هذا الشهيد الذي اغتال حاخاماً صهيونياً متطرفاً يتصدّر لائحة العنصريين بين المستوطنين في التحريض على قتل الفلسطينيين، ونجح أحمد بعد الاغتيال بالتخفّي عن أعين مخابرات الاحتلال وعملائه متنقلاً في بيوت الناس وقراهم وبلداتهم، يطارده الاحتلال بفرق من جيشه ويفشل في الوصول إليه، حتى كانت معركة المواجهة بينه وحيداً، مقابل مئات الجند ورجال المخابرات ووحدات الكوماندوس، فيقاتل ومعه كسرات خبز وقنينة ماء حتى تنفد منه ذخيرته، فيُستشهَد. لم يتسنّ لهم الاحتفال بتسديد الرصاصات القاتلة إلى صدره، فقد كان أحمد آخر يستدرجهم لدفن أحد مستوطنيهم، الذي طالته سكين أحمد، وكان عليهم أن يواجهوا سيلاً من التظاهرات التي تهتف لأحمد على مساحة الضفة الغربية، وكان عليهم أن يقرأوا في سخونة التفاعل الشعبي والشبابي، خصوصاً مع استشهاد أحمد وتقدّمه أيقونة للشباب الذاهب للمقاومة بالمئات والآلاف بلا انتظار السلاح، وبما تيسّر من وسائل وأدوات ينفع بينها الدهس وينفع الطعن، وتنفع كلّ وسيلة متاحة أخرى يبتكرها شعبٌ أثبت على مدى قرابة مئة عام أنه لا ييأس ولا يتعب. – تخلّصت «إسرائيل» من أحمد جرار، لكنها اكتشفت أنّ عليها أن تنتظر المواجهة مع جيش جرّار هو جيش أحمد جرار، حيث الشباب اليافع والصبية في الأحياء يلعبون لعبة التخفي والمخابرات والفائز في التخفي تكون جائزته أن يكنّى بأحمد، والعرائس تتحدّث لأزواج المستقبل عن مهر لعرس يتقدّمه إثبات الرجولة في ميزان أحمد، وحيث الفصائل التي تنابذت على أشياء كثيرة وتنافست وأحياناً تقاتلت، تجتمع على النموذج المثال لأحمد، وحيث البلدات والمخيمات تتنافس وتتبارى في مَن تكون البلدة ومَن يكون المخيم، حيث يكون الصمود والثبات، كما في جنين بلدة أحمد ومخيم أحمد. – مَن يقرأ علم الاجتماع السياسي بين «الإسرائيليين» ويدرك معنى ما يسمّيه العلماء بالتيار والموجة العارمة، والأيقونة، سيعلم أنّ المواجهة مع الفلسطينيين قد دخلت بعد استشهاد أحمد جرار مرحلة جديدة. فليست القضية هنا دعوة للتضامن مع الطفلة المكافحة والصامدة عهد التميمي، ولا القضية إدانة واستنكار إقدام جنود الاحتلال على قتل طفل بدم بارد. إنّها شيء مختلف، لا مكان فيها لدعوات التضامن والحديث عن المظلومية. القضية هنا هي التباهي بالدم والشهادة لشاب أرهق جيش الاحتلال لشهر كامل بعد أن تمكّن من تسديد ضربة موجعة له على الأنف مباشرة وتركه في الأرض نازفاً، ومن ثم استطابت له الشهادة. القضية لا مظلومية فيها بل حداء نصر، وأنشودة الشهادة، والشعوب عندما تبلغ هذه المرتبة من العزم، وتصير هذه الحالة مشهداً طاغياً في كلّ بيت وكلّ شارع، على مَن يعاديها ويحتلّ أرضها ويصادر حقوقها، أن يشعر بالذعر لا بالخوف فقط. فالآتي أعظم، وما خلف الستار وتحت السجادة أهمّ بكثير مما يبدو في كادر الصورة. The Palestinian hero Ahmed Nasser Jarrer of Jenin, was martyred early Tuesday morning in a raid by “Israeli” security forces. According to “Israeli” reports, Jarrar was hiding in a complex of buildings in the village of Yamun, 9 kilometers west of Jenin, in the West Bank. The “Israeli” forces also arrested several Palestinians in the assault. His martyrdom came after more than a month-long “Israeli” manhunt for him after he killed the apartheid entity’s Rabbi, Raziel Shevach. A graphic photograph from the scene showed Jarrar lying on the ground, covered in blood and surrounded by M-16 assault rifle ammunition cartridges. The 22-year-old Jarrar is the son of Hamas Resistance Leader Martyr Nassar Jarrar. The Martyr father, born in 1958, was imprisoned in 1978. After he was released from prison in 1998, Jarrar became a senior commander of Hamas’s forces during the Second Intifada of the early 2000s. In 2001, the elder Jarrar lost both his legs and an arm. Did ’Israel’ Create the Block 9 Crisis to Wage War or to Avoid It? Israeli occupation forces killed a Palestinian late Wednesday in the north of the occupied West Bank. 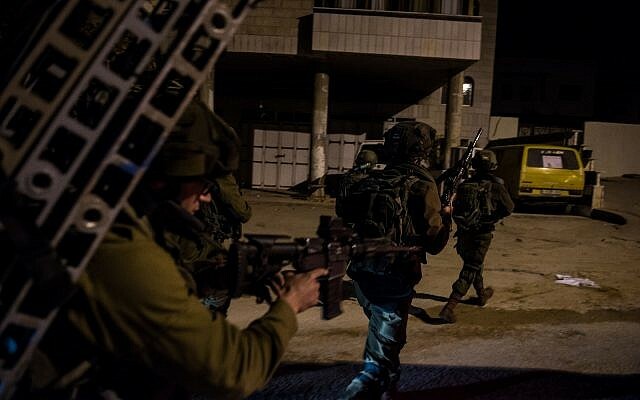 Occupation forces raided the Palestinian city of Jenin late Wednesday, eyewitnesses said, with violent clashes breaking out in which Israeli occupation police said there were a “number of injuries”. Palestinian health ministry announced that Ahmed Ismail Jarrar, 31, was martyred in Jenin raid. For its part, Israeli security agency, the Shin Bet, said border guards raided Jenin to capture Palestinians who took part in Nablus operation, in which a rabbi was shot dead earlier this month. “During the clashes, one of the suspects was killed while others were arrested,” Shin Bet said in a statement without giving further details. Israeli media reported that at least two border guards were wounded in the gunfire exchange, one of them seriously. 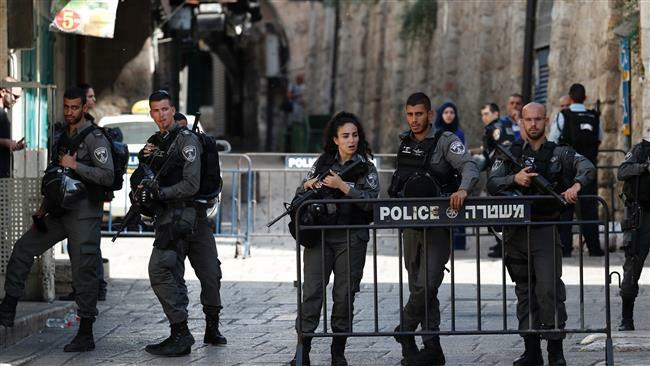 Israeli occupation forces were on Saturday shutting down Al-Aqsa Mosque for the second day after Friday’s operation near the holy site that killed two Israeli police. Palestinian sources said that IOF were heavily depoloying at the gates of Al-Aqsa and preventing Palestinians from getting into the holy compound. The Muslim call for prayer (Adhadn) has not been recited in the holy compound since Friday, the sources said. The Ministry of Awqaf and Islamic Affairs said the occupation forces were storming Muslim utilities in Al-Aqsa (offices, clinics, libraries and many others). Photos released by Palestinian sources showed Israeli vehicles raiding the holy compound. Earlier on Friday, three Palestinians shot at Israeli police in Al-Aqsa Mosque, killing two of them in a heroic operation. The three youths, who are cousins and hold the same names (Mohammad Jabbarin) were martyred after being shot dead by occupation forces. The occupation forces then shut down the holy site for Palestinians. Al-Quds Mufti, Sheikh Ahmad Hussein was arrested because he decried the mosque’s closure. He was taken into custody from the Bab Al-Asbat area (Lion’s Gate) after leading an open-air prayer nearby. Sheikh Hussein was later released on $2,800 bail. 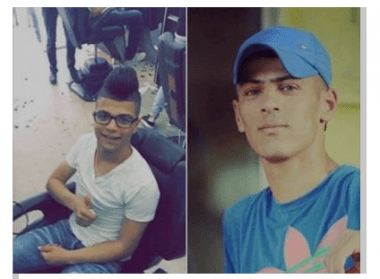 In new crime of excessive use of force, Israeli forces killed two Palestinian civilians and wounded a third one in Jenin refugee camp in the northern West Bank. The Palestinian Center for Human Rights (PCHR) strongly condemns this new crime. PCHR hereby stresses this crime was committed after the Israeli political and military leaders gave the Israeli soldiers the green light to shed the Palestinian blood in light of the international community’s policy to tolerate Israel for crimes committed by the Israeli soldiers against Palestinian civilians. According to PCHR’s investigations and eyewitnesses’ testimonies, at approximately 02:00 on Wednesday, 12 July 2017, Israeli forces backed by military vehicles and dozens of infantry soldiers moved into Jenin refugee camp in the northern West Bank. They stationed in the center of the camp and then stepped out of their vehicles. They surrounded several houses to raid them and arrest some of its residents. Meanwhile, dozens of Palestinian young men and children gathered and threw stones at the soldiers, who heavily opened fire at the stone-throwers. Sa’ed Naser ‘Abdel Fattah Salah (20), from al-Harah al-Sharqiyah in Jenin, was hit with two bullets to the head and left side of the chest and died on the spot. Aws Mohammed Yousif Salamah (17), from Jenin refugee camp, was hit with a bullet that entered his abdomen and exited from the chest. He was transferred to Martyr Dr. Khalil Soliman Governmental Hospital in Jenin, and doctors there tried for hours to save his life, but he died succumbing to his serious wounds. 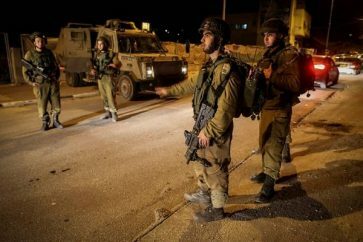 The Israeli forces claimed that the soldiers opened fire at “two attackers” after “Palestinian armed persons opened fire at them and threw explosive devices at the forces stationed in the camp. 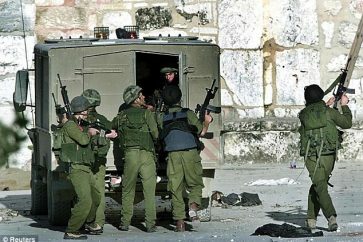 However, eyewitnesses said that the Israeli soldiers stationed near the camp buildings opened fire at a motorbike driving to the western side of the camp and traveled by the two killed persons, who were not involved in the clashes which broke out between the Palestinian civilians and Israeli soldiers. Calls upon the States, which extended their domestic jurisdiction, to hold war criminals accountable regardless of their origins and not to obedient to the Israeli pressures aiming at limiting this jurisdiction in favor of maintaining the impunity enjoyed by the Israeli war criminals. Gaza: It is not only some political leaders who exploit the cause of Palestinian resistance fighters, even satellite TV channels do it. An example was displayed by Palestine TV that is run by the Palestinian National Authority (PNA). The channel pretended to grieve martyred Hamas activist Hamza Abu al-Haija by featuring dramatic scenes on the screen. They entreated the Palestinians to forgive the PNA for its involvement in the killing of the martyr by the occupation forces in Jenin camp in the West Bank on 22 March. The program Li Ajlikom (For You), presented by Manal Seif on Palestine TV last Thursday evening, began with a scene of the martyr at home with dramatic music in the background. For 14 minutes, the program dedicated to the prisoners, took its audience on a journey inside Abu al-Haija’s life. The program trumped up crude emotions, ignoring the fact that the occupation had coordinated the operation to kill Abu al-Haija with the PNA’s security apparatus. The station reached a climax in feigned lament for the martyr when it considered itself a main actor in the Jenin battle with Abu al-Haija, who died with two other martyrs,Yazan Jabarin and Mohammed Abu Zeina. In both cases, the PNA had killed the two martyrs and marched in their funeral while Palestine TV’s job was to cover their tracks. Li Ajlikom began by replaying an old interview with the martyr. The camera zoomed into his eyes full of tears and anguish for his father, who is serving nine life sentences for belonging to the Ezzedine al-Qassam Brigades. The program aired statements by the martyr talking about his longing for his father, and showed pictures of him with his friends and relatives. Next it moved to a segment about Abu al-Haija’s resilience against the Zionist Alimam unit, which killed him after a crippling siege. The program showed the martyr’s assassination without mentioning that it will have an opposite impact on the viewer. The perpetrator had called on the PNA to remain in their headquarters until 22-year-old Abu al-Haija was killed. The program exonerated the PNA, despite the compelling evidence about its role in the assassination. The program also failed to speak about the young man being hunted down by the PNA in his final years. PNA security forces had attempted to arrest him more than 20 times after having done so 10 times in the past. For five minutes, the song “You fascinated my soul, O martyr” rang loud, while the voices of the Jenin refugee camp condemning the PNA’s involvement in the assassination of the three martyrs were muted. In the segment focusing on his funeral, the program deliberately muted the sounds of angry voices roaming the streets of the camp. The assassination of Abu al-Haija came only a month after the martyrdom of Motaz Washha, who resisted the occupation’s mightiest force alone, while the PNA refused to help him. The only action the security forces took was to carry his body in the military funeral they organized for him. But Palestine TV turned a blind eye to the truth of his killing and its Palestinian perpetrator. In both cases, the PNA had killed the two martyrs and marched in their funeral while Palestine TV’s job was to cover their tracks. During Li Ajlikom, broadcast last Thursday, the cameraman and the presenter went to the hospital where Abu al-Haija’s mother was admitted. Over the song “Ajmal al-Ommahat” by Marcel Khalife, the presenter approached the mother whose son’s martyrdom added to her illness. With a short message, the mother congratulated her husband and her two sons Imad al-Din and Abdul-Salam, who are detained in the occupation’s prisons, for Hamza’s martyrdom. The program also interviewed the martyr’s two sisters, a friend, and the wife of prisoner Abbas al-Sayyid who said they were proud of the young man.